December 21 marks the Winter Solstice in the northern hemisphere, the shortest day of the year and a turning point in the natural world for the passage of time. In China, the Winter Solstice is known as the Dong Zhi or “extreme of winter.” This holiday honors the end of the harvest and the return to hearth and home. In the west, most of our winter holidays are celebrated during the time of the solstice when temperatures drop, the sun hangs low in the sky and the hours of darkness surpass daylight. But while agricultural societies associate the winter season with completion, when energy and food are stored and conserved until springtime, modern societies tend to increase their activities to compensate for dwindling natural resources. 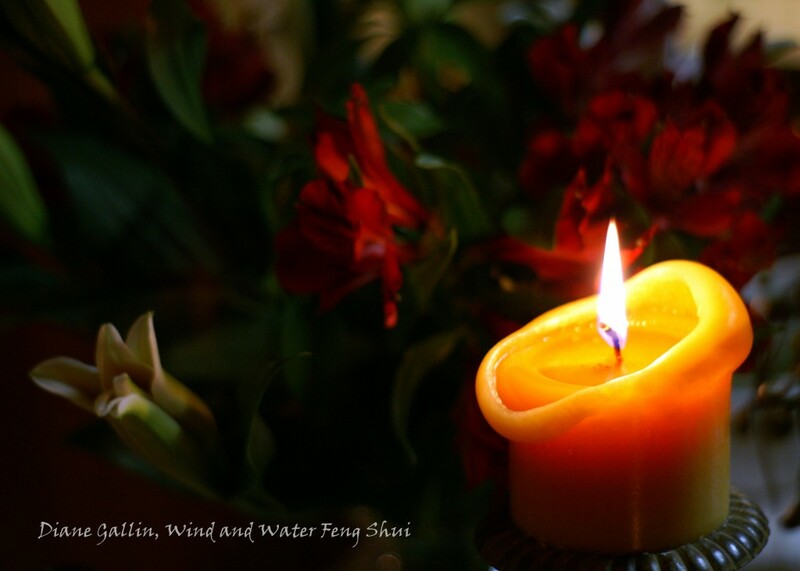 The most yin time of year from a Feng Shui perspective, winter is associated with deep, still water, cold temperatures, the moon, silence and darkness. In the phases of the Five Elements and Traditional Chinese Medicine, the season of winter relates to the kidneys, water ch’i and the emotion of fear. It is not surprising that human beings gravitate to shelter and warmth during this season, gathering emotional support, sustenance and comfort at the bleakest time of the year. Watching daylight fade more swiftly, early Neoliths surely wondered when and if the sun would return to warm the earth. In fact, their efforts to summon the sun through ritual and celebration at the year’s turning gave birth to the winter holidays we celebrate today. But in the spirit of the holiday season, perhaps some of our consolations haved pushed us too far to the yang side of the equation. Rather than honoring the quiet, introspective side of our winter nature, we create expectations that bring even more stress to our lives, and the holidays end up mirroring the same hectic schedule we keep all year long. In the natural world, winter is the season of rest and reflection. Quiet evenings, warming foods and companionship honor the stillness of the season. Rather than filling our days with activity, it is wise to acknowledge the cycles of nature and take time to restore both physical and emotional health. This solstice, give yourself the gift of melancholy. Remember those who came before you and honor only the holiday traditions that touch your heart. Set aside your fears about the future and find quiet time to be at peace with who you are and where you have been, knowing that the sun will always return to inspire and warm you.